Matilda is a just a touch lighter than Maisie and weighed in at 57.5 lbs. Have not measured them yet! good thing i saw this thread. my chow had his latest vet visit and he weighed 12 kg from 9.6 3 weeks around 3 weeks ago. i thought he gained too much weight for a 4 month puppy. but reading almost all posts here i realized it's quite normal. kuma_chan wrote: good thing i saw this thread. 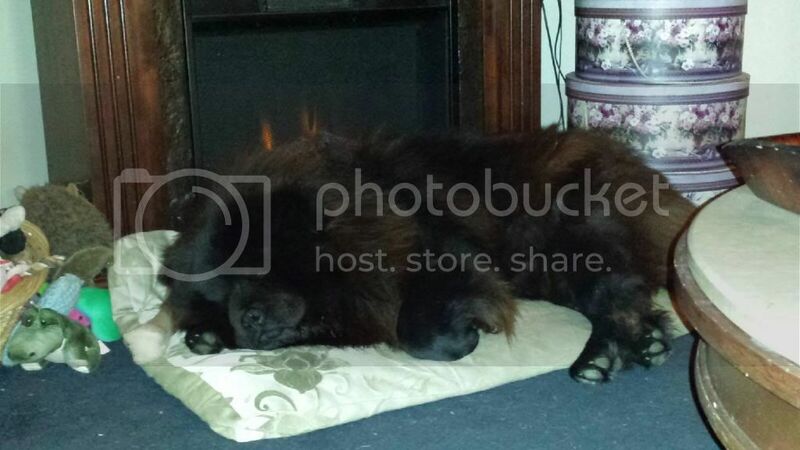 my chow had his latest vet visit and he weighed 12 kg from 9.6 3 weeks around 3 weeks ago. i thought he gained too much weight for a 4 month puppy. but reading almost all posts here i realized it's quite normal. Can you help ease my mind? I'm worried about all the health issues chows are "probe" to according to the Internet. I just want to know how you guys keep you chow chows as healthy as possible? My girl is full grown and she weighs 62lbs my boy is only 5months old already weighing 45lbs. He's gonna be a big boy!! According to its size, the weight of the Chow Chow female at 3 months should be between 17.6 and 23 lbs. At 6 months, the Chow Chow female weighs on average between 32.5 lbs for the smallest individuals and 42.7 lbs for the largest individuals. 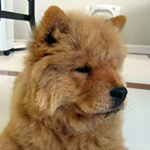 How much must a Chow Chow Female at 1 year? Enter 42.8 and 57.7 lbs. The Chow Chow female will end up growing at 16 months.